Foodcraft Expresso & Bakery is a huge social media sensation lately, thanks to their newly invented Tella Ball Shake. We just had to come and try this place out on an early Sunday morning. 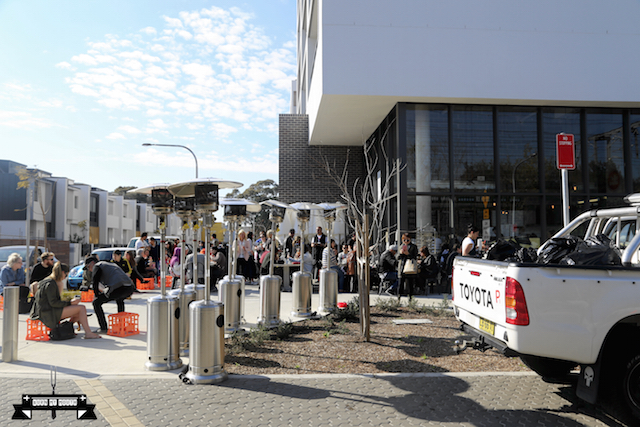 The café is located at the ground floor of the “Erko” residential complex in the hip inner-city suburb of Erskineville. 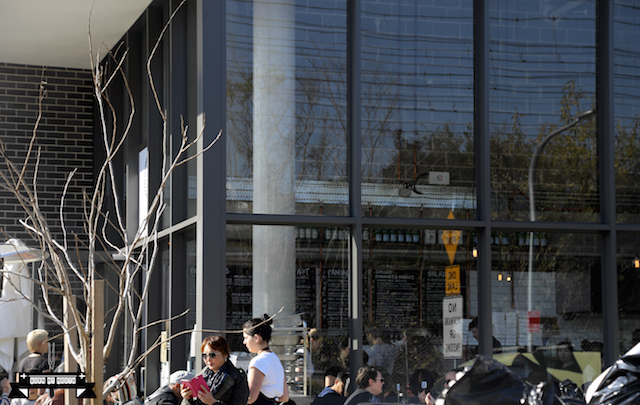 The café is small internally, but has a large outdoors space for seating. We arrived at 8am, and waited about 20 minutes before being seated down. The wait staff responsible for the waiting list got our name wrong and the number of guests wrong as well. When we finally sat there, the first wait staff asking for our drinks order was very enthusiastic, while the second staff asking for our food orders had a Gen Y “meh” attitude. 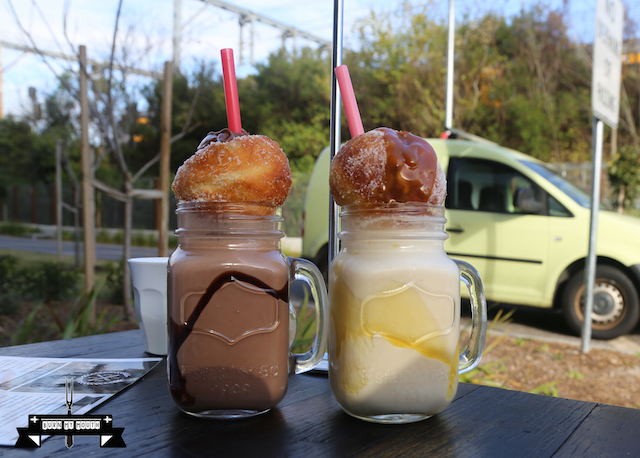 We tried two flavours – the Nutella flavour, consisting of a Nutella filled donut with a Nutella milkshake, as well as the Salted Caramel flavour, consisting of a salted caramel filled donut with a salted caramel flavoured milkshake. The donuts were very dense and was the perfect complement to the shake as we sipped the drink up through the donut. The donuts were very sweet, and it balanced well with the more milky flavour from the shake. This was the ultimate comfort food, and we enjoyed our drinks immensely. 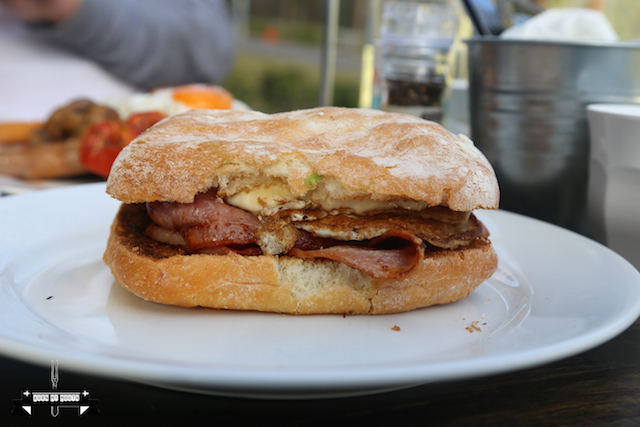 This consisted of free range eggs, crispy bacon, provolone cheese, topped with house tomato relish and aioli. A very standard staple food and nothing special to report. However the mix of tomato relish with aioli was quite special, as it tasted like a creamy version of BBQ sauce. 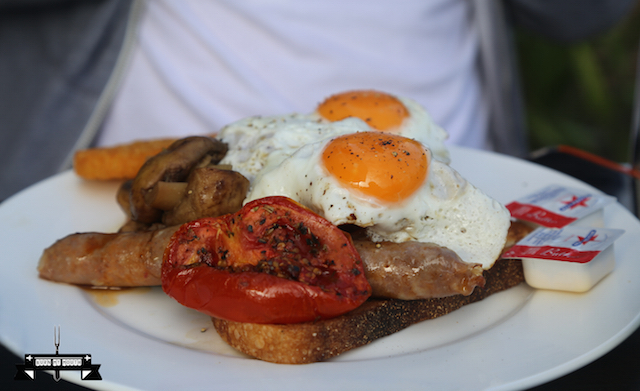 This included bacons, eggs, Italian sausages, grilled tomato, hash brown, grilled haloumi and field mushrooms on organic sourdough. Everything was done right, with nothing burnt or smoky. However, there was no elements of surprise. This consisted of grilled haloumi, balsamic glazed tomato, poached eggs, baby spinach and avocado. The menu actually stated that there would be an organic sourdough, but there was no sourdough on the plate. 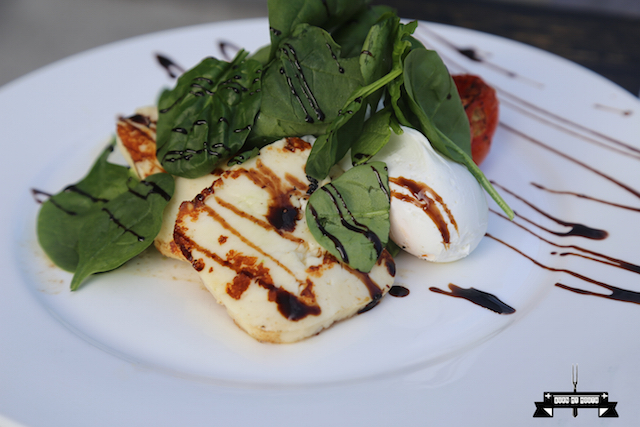 The haloumi was not grilled properly, and there seem to be an overindulgence of balsamic in the dish. From the items that we have ordered, the only item that is special and worth coming here for is the infamous Tella Ball Shake. All the other breakfast items we have tried are very ordinary. If you wish to try the Tella Ball Shake, you need to be here early, as they tend to sell out quite quickly. Address: 33 Bridge Street, Erskineville. 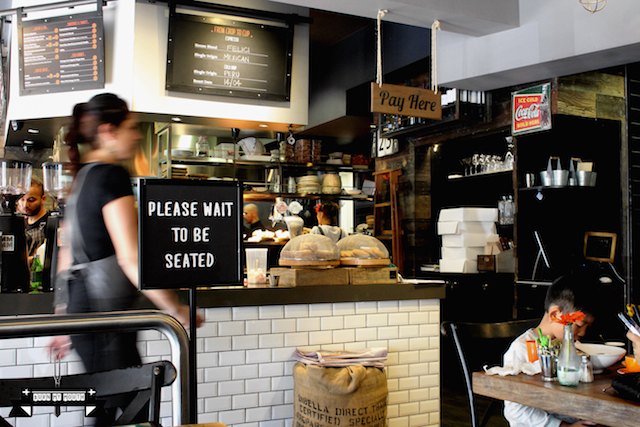 Located on the main road in the inner west suburb of Dulwich Hill, Hub House Diner is a trendy little café selling American diner inspired food. On a rainy Saturday afternoon, the place was full with people of all ages. After sitting down, a wait staff quickly asked us for our orders. The food came out relatively quickly. However, the bottle of water on our table was not filled, and because it was so hard to get the attention of a wait staff, we ended up getting up to grabbing a bottle of water ourselves. Since most people there ordered the burgers, we also tried the burgers. 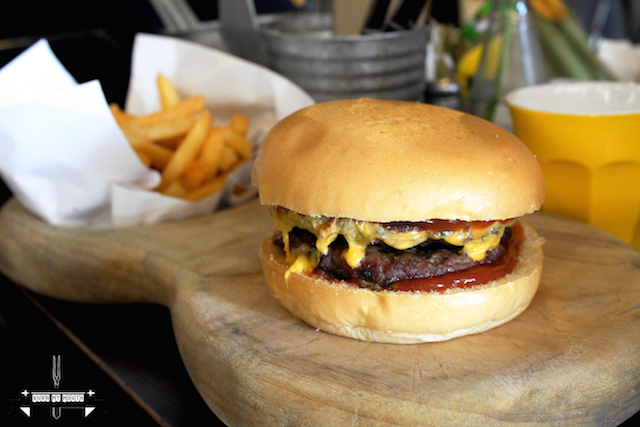 We tried the Double Beef Cheese Burger and the House Beef Burger ($19 each). The Double Beef Cheese Burger had double beef, American jack, onion, gherkin, mustard and ketchup, while the House Beef Burger had American jack, lettuce, onion, tomato, bacon, egg, beetroot relish and smokey BBQ sauce. Both were served on a specially designed wooden board with a serving of chips on the side. The burgers were quite flavoursome, but unfortunately the beef patties were a bit dry. Maybe they were overcooked or there were not enough fat contents in the patties. 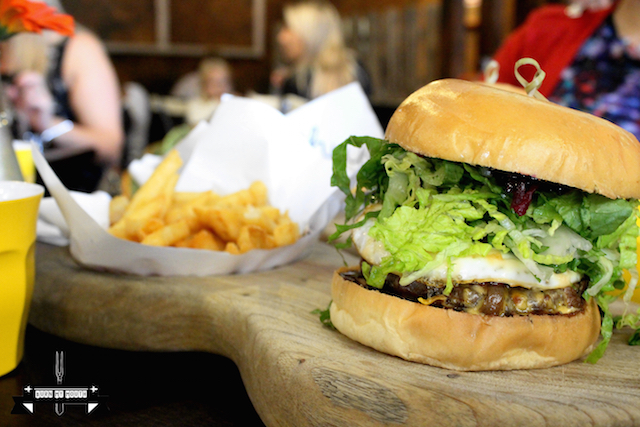 However, the rest of the ingredients in each burger provided good balance of flavour. The buns were traditional burger buns, and they were firm enough to hold, yet soft to the mouth. However, the buns on one of the burgers we ordered were cold. The chips were very crispy and was topped with some chicken salt. We devoured them quite quickly. In conclusion, for the price we paid for the burgers, we expected better quality burgers than what was served. Maybe we should have tried other food here instead.